If the universe is not eternal (which it is not), then it had to have a beginning. If that beginning was the so-called "big bang", then where did all the materials come from (since matter and energy cannot be created or destroyed only change forms)? To have a theory that supposedly explains origins that does not explain the origin of all the matter and energy in the universe, is not really very useful. 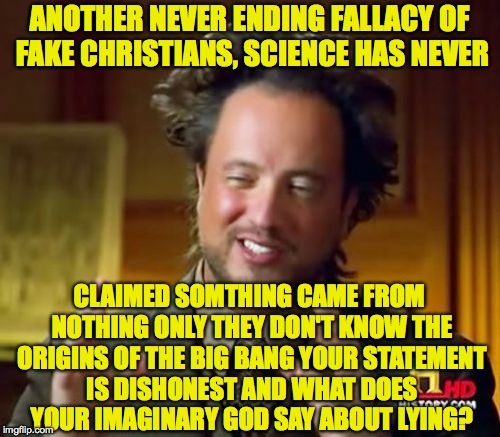 And neither is a very simplistic "god did it" narrative when one only need read and actually accept the bible is complete garbage written by men who knew nothing of the factual world around them. Best way to put it? People fear death so they enjoy the IDEA of life after death..case closed.. Yes, it is simple...but any belief regarding origins will be (the big bang is as well). I agree that it is about ideas. People choose to believe what they want to believe. Just as Christians enjoy the idea of life after death in heaven with their Creator, atheists enjoy the idea of not having to be accountable for how they live their life. That's the whole point of even talking about origins. Do we belong to something higher than ourselves, or are we cosmic accidents, accountable to no one. In the end, no one can prove one way or the other, so it comes down to belief. Since that is the case, that is why I made the meme. One side thinks they can prove their belief, but they can't. 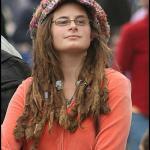 So ridiculing someone over their unproven belief, when that person's own belief is just as unproven, is hypocritical. 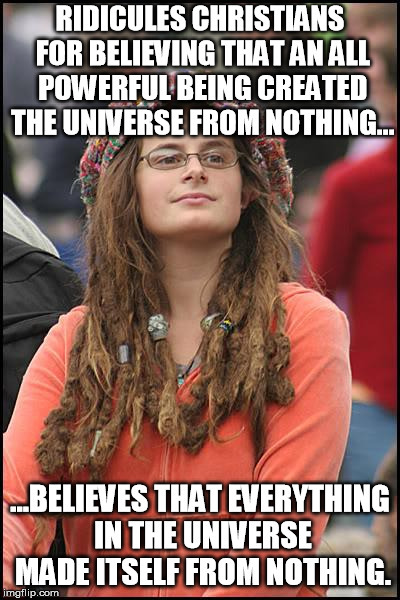 RIDICULES CHRISTIANS FOR BELIEVING THAT AN ALL POWERFUL BEING CREATED THE UNIVERSE FROM NOTHING... ...BELIEVES THAT EVERYTHING IN THE UNIVERSE MADE ITSELF FROM NOTHING.